On the back of being awarded the prestigious 3rd spot in Scotland’s Distillery Visitor Experience of the Year nearly two weeks ago, Glen Garioch in Oldmeldrum is launching their Rare Fayre event to be held at the distillery on Saturday, December 1st from 10am. 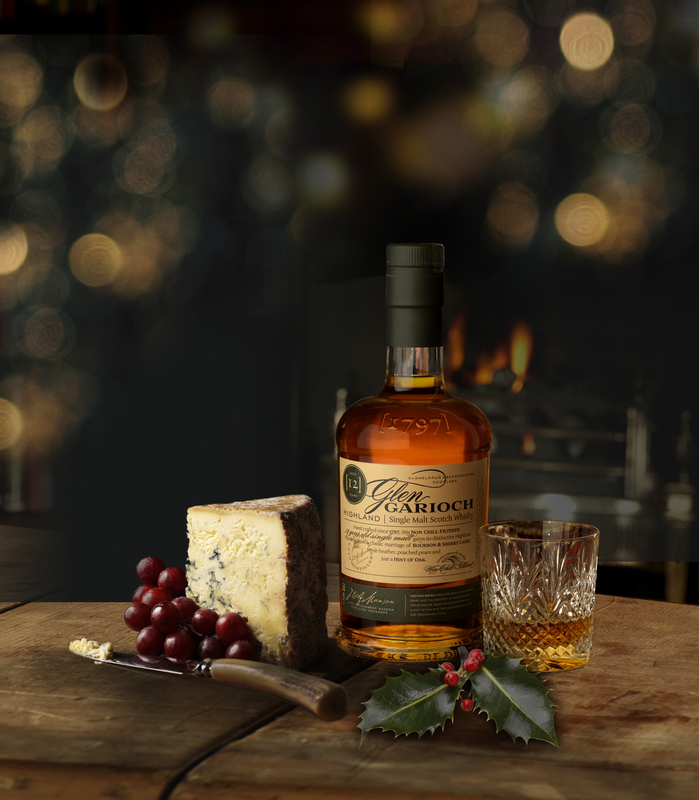 With free entry and a range of food and craft stalls from talented local producers, you’ll discover some ‘rare finds’ and gift ideas this Festive Season, at the Home of Glen Garioch Single Malt Scotch Whisky. It will be your chance to enjoy a warming hot toddy and chat with the distillery team as you sample the honeyed sweetness and delicious creamy texture of the Glen Garioch range. The Festive Rare Fayre also marks the launch of a brand new expression, the Glen Garioch 2007. Distilled on 25th January 2007, cask 57 has spent well over a decade patiently maturing in first filled bourbon barrels. Like pinecones smouldering on a fire, this lightly peated Glen Garioch evokes notes of lemon meringue, creamy, light vanilla, cinnamon and sage with a peppery mouthfeel for a long and memorable finish. Handcrafted and nurtured by the people of Glen Garioch and aged exclusively in a single ex-bourbon barrel, this unique dram comes from a single cask. Each bottle is individually numbered and personally signed by Master Blender, Ron Welsh. A rarity to be treasured! The Fayre will also embrace the yuletide celebrations with a busy day of exclusive whisky tasting experiences, tours and masterclasses. It’s true what they say – you can never fully enjoy a dram of Glen Garioch until you have seen how and where it’s made. Many of the processes at Glen Garioch, for example, are the same today as they were over 220 years ago but the journey never stops being fascinating. Come and see time-honoured skills at work, touch and smell the natural ingredients used in its production, hear from the master craftsmen involved and, finally, taste the fruits of their labours. Over 18s only Our legendary Glen Garioch tale spans across 221 years. With the expertise of our friends at 10 Dollar Shake, you’ll be treated to a range of cocktails in our private bothy (formerly the customs and excise office!). These cocktails will be cleverly crafted to tell our Glen Garioch stories through the ingredients and inspiration behind them. What better way to spend your Saturday afternoon! Our legendary Glen Garioch tale spans across 221 years. With the expertise of our friends at 10 Dollar Shake, you’ll be treated to a range of cocktails in our private bothy (formerly the customs and excise office!). These cocktails will be cleverly crafted to tell our Glen Garioch stories through the ingredients and inspiration behind them. What better way to spend your Saturday afternoon! Our legendary Glen Garioch tale spans across 221 years. With the expertise of our friends at 10 Dollar Shake, you’ll be treated to a range of cocktails in our private bothy (formerly the customs and excise office!). These cocktails will be cleverly crafted to tell our Glen Garioch stories through the ingredients and inspiration behind them. What better way to spend your Saturday afternoon! So, what is it that makes a good Blender? – a question posed to the Glen Garioch Blender. His reply, “an analytical mind and a good sense of smell, plus a really good memory”. Join Olivier Fagnen from the Beam Suntory blending team as he uses his expertise in the whisky industry to guide you through a tasting of some of Glen Garioch’s artisanal small batch releases, including a preview of a brand new distillery exclusive release. The perfect introduction to Glen Garioch’s Award Winning Highland Single Malt Scotch Whisky. This unique distillery tour experience celebrates the Manson brothers who first established the distillery and the 220 years of craftsmanship that goes into every bottle that bears the Manson name. This one-hour long tour includes a dram of The Founder’s Reserve. There is no place like home. Oldmeldrum is the Home of Glen Garioch and has been for generations ever since John and Alexander Manson first established the distillery in 1797. The distillery remains at the heart of the community and stays true to the original charm of the Highlands, the local staff brimming with passion for the fine whisky they make and offering a warm welcome to all. Celebrate this Festive Season with the ones you love, indulge yourself and experience the sheer magic of Christmas at the Home of Glen Garioch Single Malt. Saturday 1st December 2018 – FREE ENTRY. Tours and Tastings must be pre-booked online.